So let’s say you’re working with clients who do not want to move their communications from Skype to Fleep. Or maybe the design firm you’re cooperating with is dead set on using Slack. But you just loooove Fleep (we love you too!). 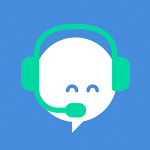 Within minutes, you can use Sameroom to bridge your Fleep conversation to a conversation on Skype, to a Slack channel and others. With any of these scenarios, the biggest benefit is that each participant or team gets to use the single team communication tool of their choice, keeping a record of all communication data while controlling and allowing access to the conversation as they see fit. 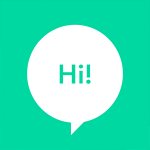 In this way, Fleep becomes your mission control center for two-way, real-time messaging across any major chat systems, letting you work faster without losing important information. If that’s not powerful, we don’t know what is. We love Sameroom, but love don’t pay the bills. You can try Sameroom out for free, but it is a paid service. Give it a try! According to our statistics, the Sameroom integration is the most actively used integration among Fleep users – and we do trust our users’ choices. We’ve come a long way in replacing email in business communication, especially as a chat for teams. Here’s to minimizing external email, too!